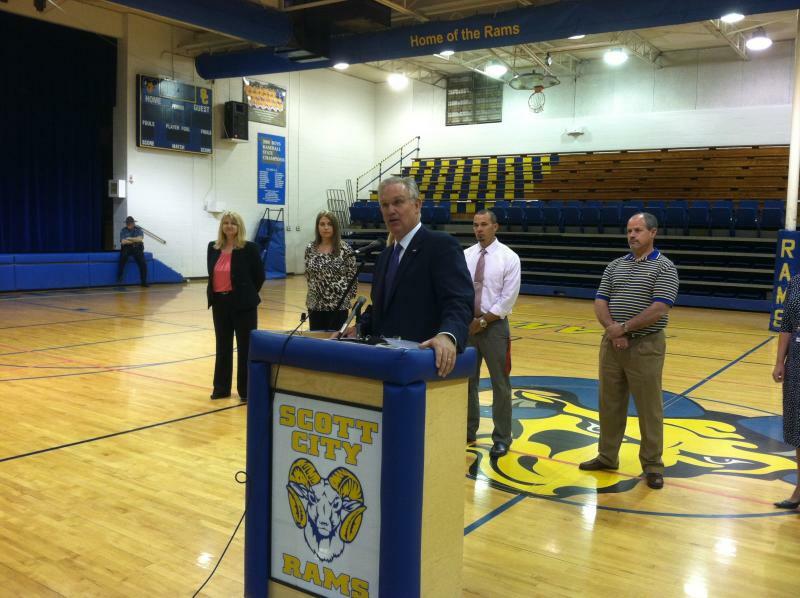 Missouri Governor Jay Nixon visited Scott City High School on Tuesday to congratulate that school on becoming an A+ School. 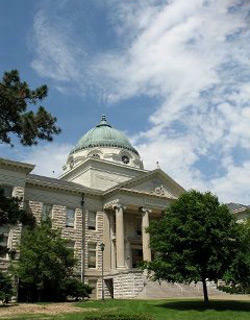 The state’s A+ scholarship program offers two-year scholarships to community colleges and some four year schools like Southeast Missouri State University and Truman State. Nixon says 118 new schools were accredited as A+ schools in April. That means 99% of Missouri schools participate in the program. 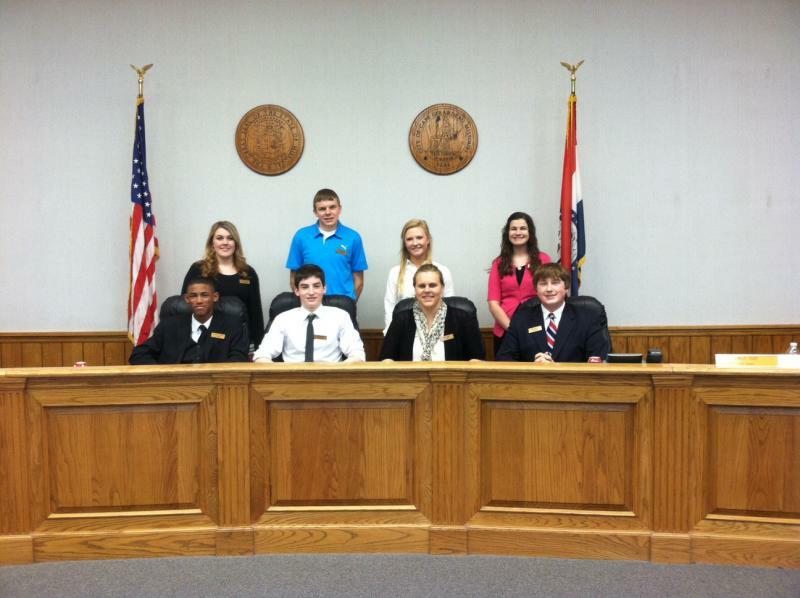 High school students had a chance to call the shots at Youth In Government Day on Wednesday. Students from Cape Girardeau Central, Eagle Ridge Christian School and Notre Dame Regional High School held a mock city council session. They tackled several local issues ripped straight from the headlines, like urban deer hunting, texting while driving and whether Cape Girardeau residents should be allowed to raise chickens in town. 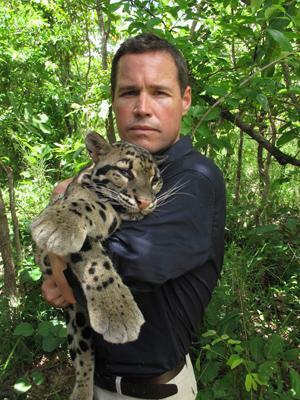 Conservationist and popular TV personality Jeff Corwin delighted a Show Me Center audience with animal stories Wednesday night. And he brought along a few scaly friends to drive the point home. Southeast Missouri State University will keep its in-house textbook rental program, but will outsource operation of its bookstore. The Board of Regents approved a plan for Follett to run the university’s bookstore at their meeting on Wednesday. Vice President Kathy Mangels says print textbooks are still the majority of what students use now, though she anticipates that will change to e-books. Mangels says Follett will be able to incorporate more electronic learning materials into the university’s online learning management system. A disagreement over whether or not to elect a chair at Wednesday's SIU Board of Trustees meeting led to an abrupt adjournment when two Trustees walked out in protest. Trustees David Hamilton and Marquita Wiley say they want a full Board to be in place before they'll vote for a chair. There remain three vacancies after the Illinois Senate rejected nominees from Gov. Pat Quinn. But Trustee Don Lowery says this lack of action is in violation of Board policy - which requires an election of a chair in January.